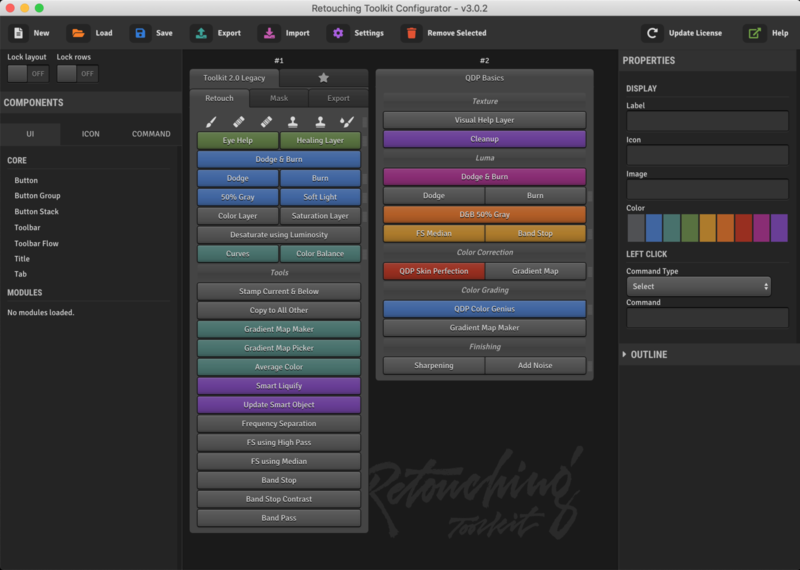 A while ago, I reviewed the Retouching Toolkit 2.0. A panel that integrated well with Photoshop and that almost entirely replaced my needs for the Beauty Retouch by Retouching Academy. 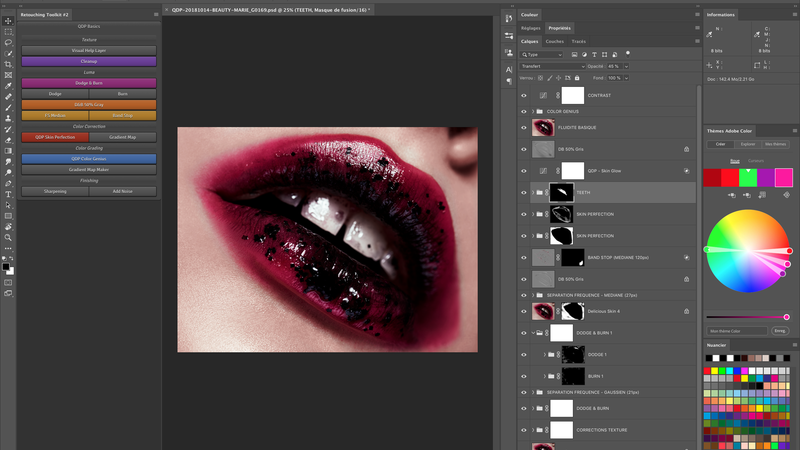 The Toolkit is meant to be useful for any retoucher, not just beauty and portrait ones. It offers quick access to most common tools and scripts to speed up some processes in Photoshop – Frequency separation, band stop, sharpening, etc. While the version two was already good, RAW.Exchange and Conny Wallstrom went not one step further, but one universe further with the latest version! Those of you who used Photoshop CS6 may remember of a small Adobe tool called Configurator. It'd let you create your own panels in Flash very easily. Well, the Retouching Toolkit 3.0 is just that, with a better-looking interface and already pre-written scripts for you to use. What Does it Take to Make Your Photoshop Panel? The Toolkit is made of a Configurator app which will let you create your very own panels and also of panels that you create and integrate with Photoshop. 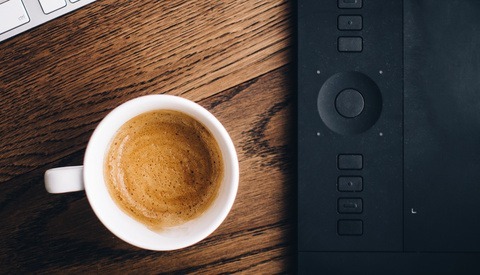 The design of panels is quite straightforward: create a new panel, drag and drop buttons, and then drag and drop functions on each newly added button, save the panel and export it. The next time you'll run Photoshop, you'll find your panel in the Extension menu and you can reload the layout whenever you updated it in the Configurator app! As easy as that! Don't worry, you' don't need to be a script nerd to be able to use the Retouching Toolkit 3.0 either. The interface is very user-friendly and the RAW.Exchange community is large enough to get help from other users if you don't want to contact the support – which is even more friendly! To be honest, I find the Configurator of the Retouching Toolkit easy and more user-friendly than what Adobe had created years ago. The level of customization of the Retouching Toolkit 3.0 is absolutely fantastic! Beginners may feel a bit lost at the beginning because of it, but what's great is that it comes with the layout and scripts of the Retouching Toolkit 2.0 as well. So when you start out, instead of trying to create everything from scratch, you could just customize the Toolkit 2.0. When creating your custom panel, you'll have a large choice of actions and scripts available to you without having to use your own if you don't have any. 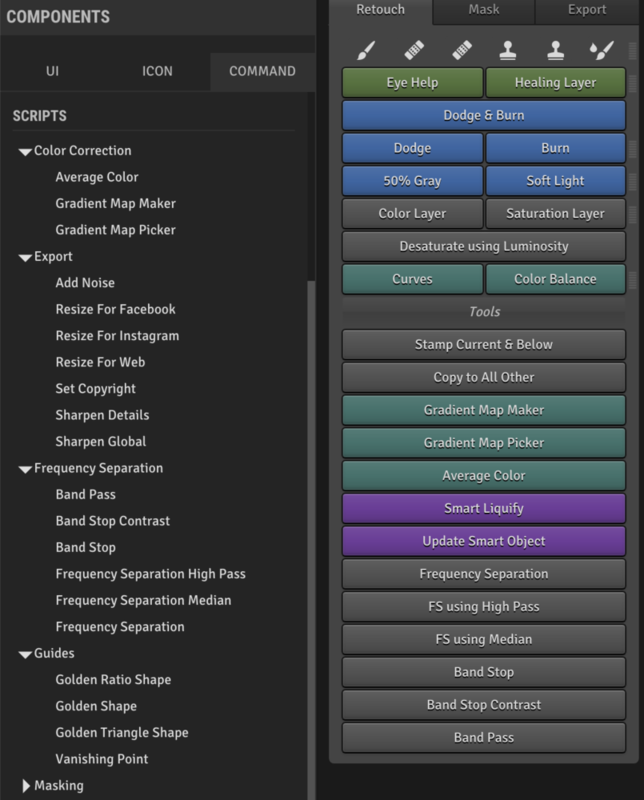 Like previously mentioned it comes with all the scripts available in the Retouching Toolkit 2.0 and that on its own is probably more than enough for most people. But in case you are a superuser and in need for more, there are already six different modules available – a few should come this year, and more will be released in 2019. Each module is a pack of scripts, actions, brushes, tools, and layout presets. By default, you'll get access to the following modules: retouching, color correction, masking, luminosity, frequency separation, and export. From creating bandpass to luminosity masking, the options are diverse. I've been told by the guys at RAW.Exchange that additional modules would be made available in the future. No words about what they'll contain, what they'll offer more than the current ones. But the idea is that the Configurator is the base, and you can add on more to create the most powerful and efficient version of Photoshop you need through the custom panels. One last detail regarding the features available, you can also map almost any Photoshop menu element to a button. So if you want to have a Print or Create New File button in your panel, you can do that. If you'd like to create a new Curve Layer, it's possible as well. You could push it as far as making a panel that as all the Photoshop features and scripts you need so that you wouldn't need anything but your custom panel, the Properties, Channel, and Layer windows open. Even the toolbar could become useless. How Does it Affect my Workflow? 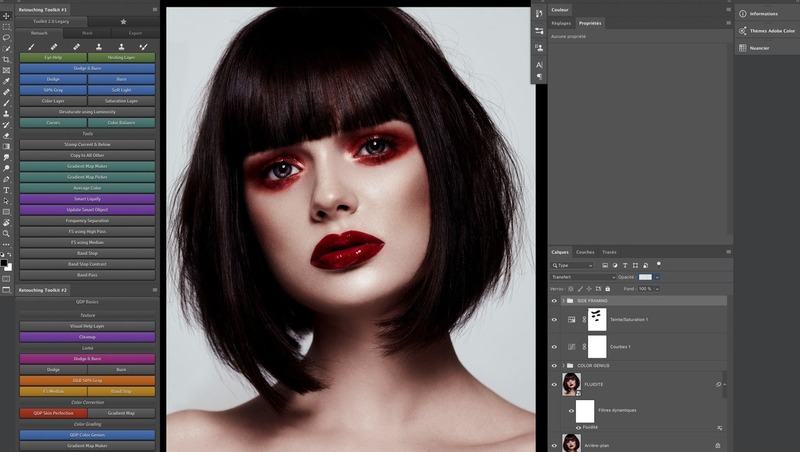 As a long time Retouching Toolkit 2.0 and Beauty Retouch panels user, and Photoshop script developer I found the new Retouching Toolkit 3.0 to be a masterpiece. I can't even imagine the hours Conny Wallstrom spent creating this fantastic tool. The issue with the Toolkit 2.0 was that it had too many options that I wouldn't use or would use only for specific retouching jobs. I would have loved to be able to have a different panel according to the retouching job I was doing. With the new version, I can create up to nine different custom panels, and if I combine this with the power of Photoshop workspaces, I can have a user interface perfectly tailored for my needs for each job I have! Being able to integrate your own actions and scripts is also a big plus! I love relying on panels, but often time it comes with the downside of still having to rely on actions and scripts for certain specific tasks. Having my very own scripts right in the panel makes it just that much better and more useful. The fewer panels I have opened on my interface, the more space I get for my image to be displayed, and the less distraction I have. So all in all, it does help make my workflow more comfortable, faster, and more efficient. There is very little I would like to see improved but there are a couple of things that I'm sure will get better with time. For example, I'd love to see better modules with more options for luminosity masking and color grading. I'd also like to have the option to customize the user interface of each panel a bit more. The default UI looks great, but the titles are a bit small, so is the font size when I use my 4K display. It's not a big deal, but I doubt having the choice between different font-sizes would be a hard feature to add. The alternative in the meantime would be using an image by enabling the advanced settings I guess. The Retouching Toolkit 3.0 is available for $179.00. Those of you who already own the Retouching Toolkit 1.0 or 2.0 will get a discount when you log in on RAW.Exchange. It's not as cheap as most panels that are available for $50-70 or less, but there is a reason: you can create as many panels as you'd like and they are designed for you by you! If you need the uttermost level of customization, the price won't be a problem. 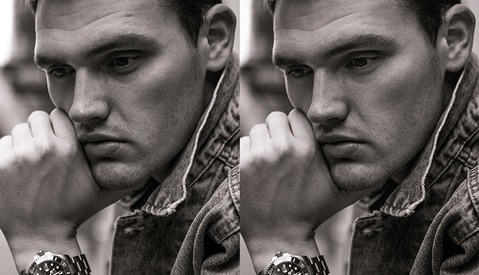 If you are just looking for a panel that creates Dodge and Burn curves for you, you may be better off relying on Photoshop Actions. Professional who spend a lot of time in front of their computer will appreciate the Retouching Toolkit 3.0, without a doubt. Can version 3.0 of the Retouching Toolkit be used with Photoshop CS6? Hey Frank! I don't think so. On the product page, it's written "Photoshop Extension for Photoshop CC+". Thanks. I will continue using version 2.0 of the Retouching Toolkit which I find very helpful to my workflow. Your article on version 3.0 is a good read.